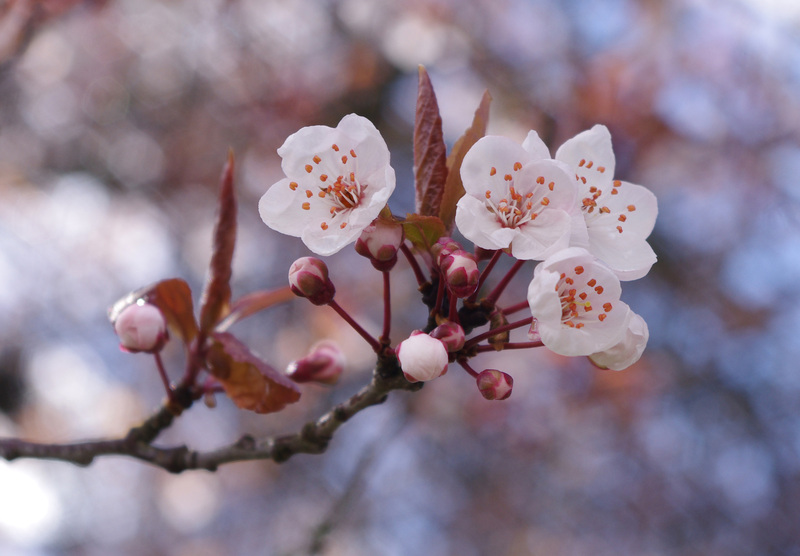 This entry was posted in Uncategorized on February 2, 2019 by bronwyn.kirkpatrick. 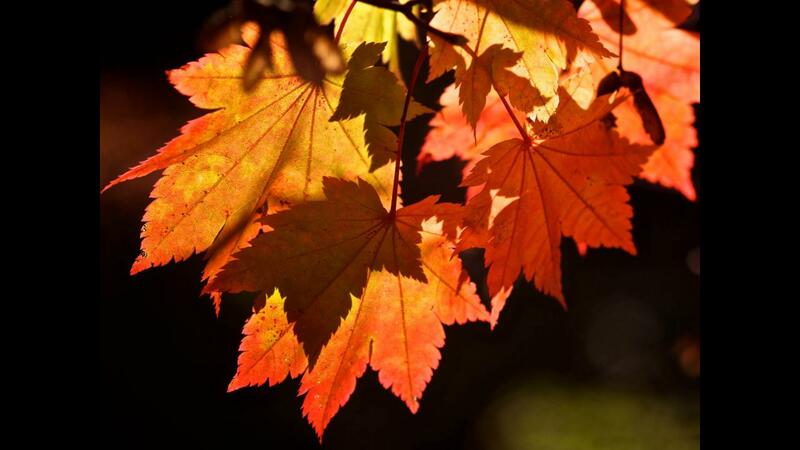 This entry was posted in Uncategorized on August 19, 2018 by bronwyn.kirkpatrick. 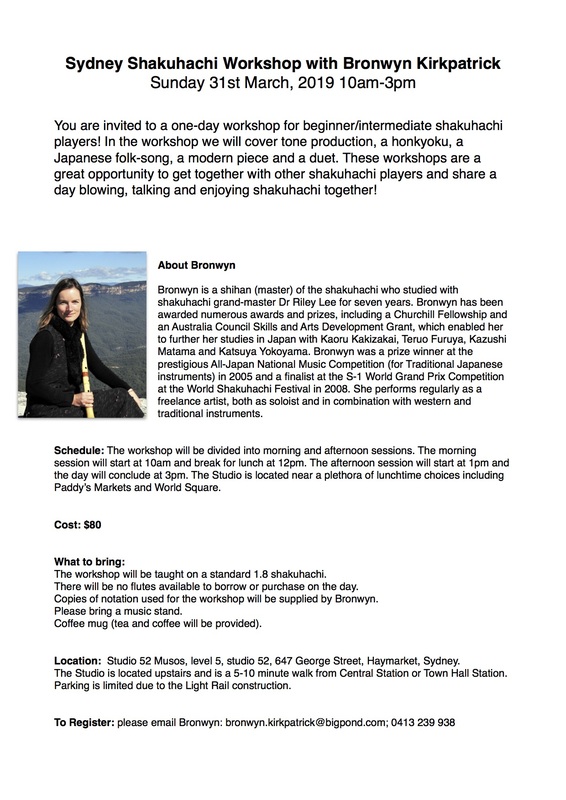 I will be leading a Shakuhachi Workshop in Sydney on Sunday September 2nd from 10am-3pm for beginners (not absolute beginners)/intermediate players. 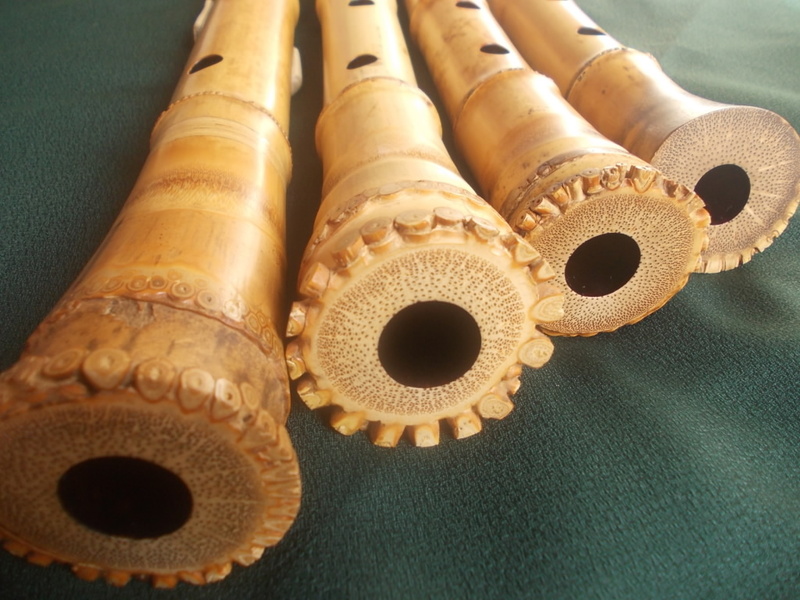 The workshop will cover tone production, a honkyoku, a Fukuda Rando piece and a Japanese folk song. This entry was posted in Uncategorized on July 11, 2018 by bronwyn.kirkpatrick. 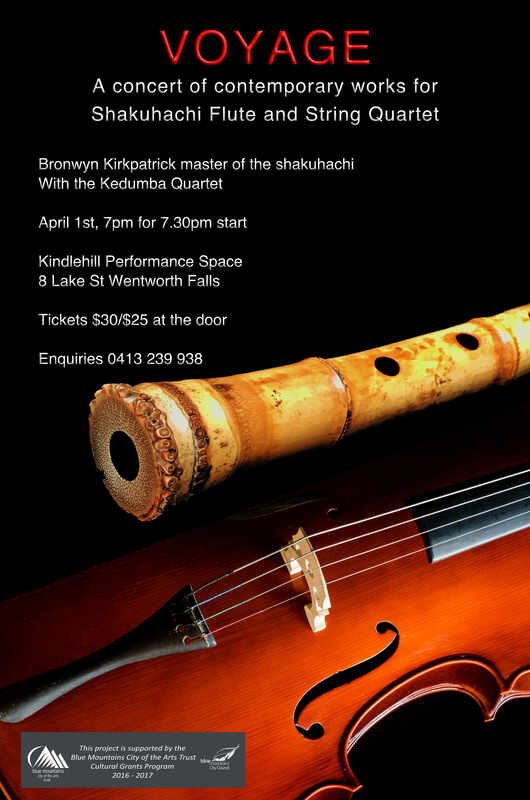 I’m very excited to be playing with the APQ strings in a concert featuring two beautiful works for shakuhachi and strings: Llef by Hilary Tann for shakuhachi and cello and Migration by Elizabeth Brown for shakuhachi, violin, viola and cello. 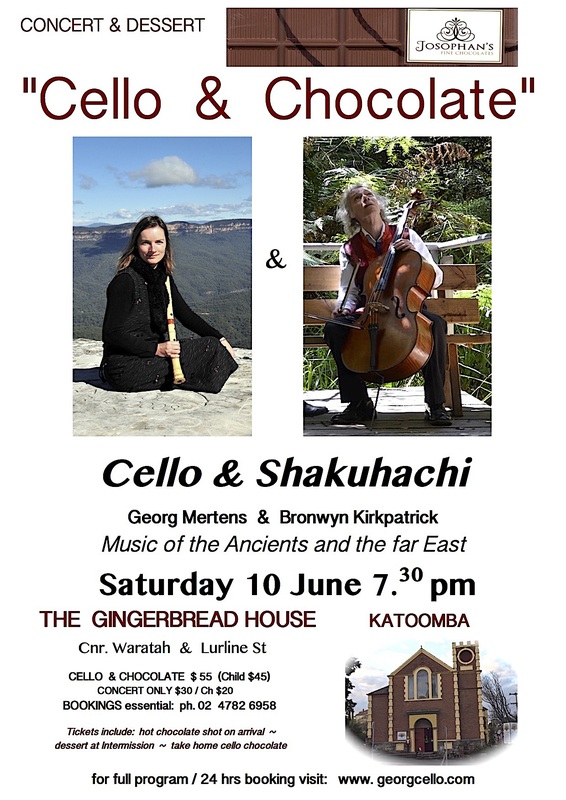 Part of the 100clicksWest concert series in the Blue Mountains. This entry was posted in Uncategorized on April 30, 2018 by bronwyn.kirkpatrick. This entry was posted in Uncategorized on January 13, 2018 by bronwyn.kirkpatrick. 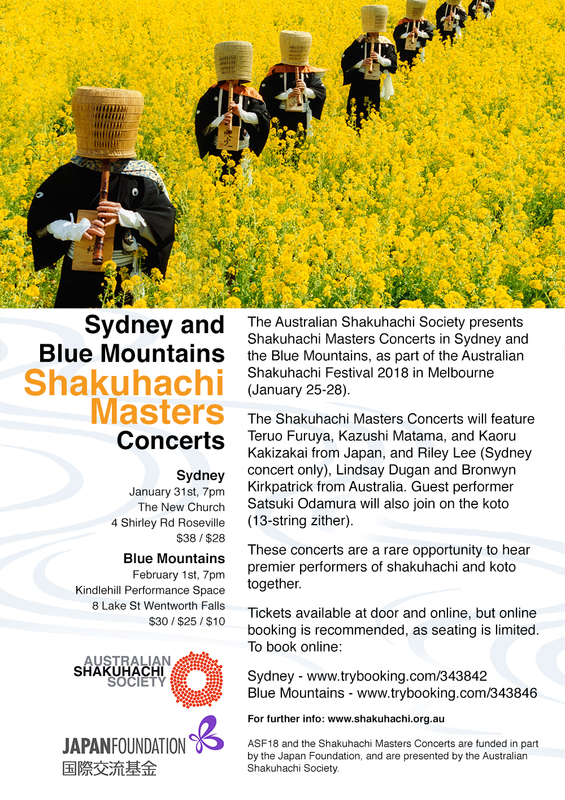 Come and hear some beautiful shakuhachi in the Auburn Botanic Garden at 12pm, August 19th and 26th! This entry was posted in Uncategorized on August 3, 2017 by bronwyn.kirkpatrick. Put this date in your diaries! Rehearsals are well under way. It’s going to be a great night! 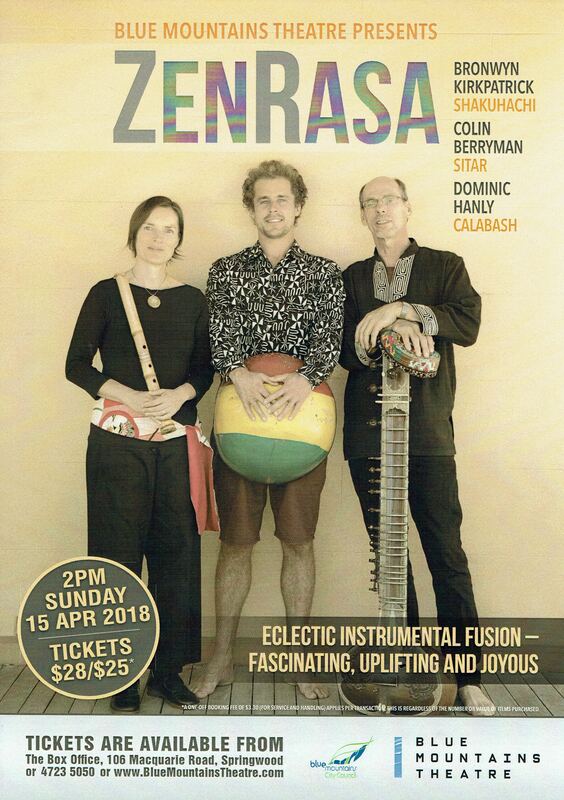 We will be performing Lachlan Skipworth’s Light Rain, Marty Regan’s Voyage and Elizabeth Brown’s Mirage. This entry was posted in Uncategorized on February 18, 2017 by bronwyn.kirkpatrick. 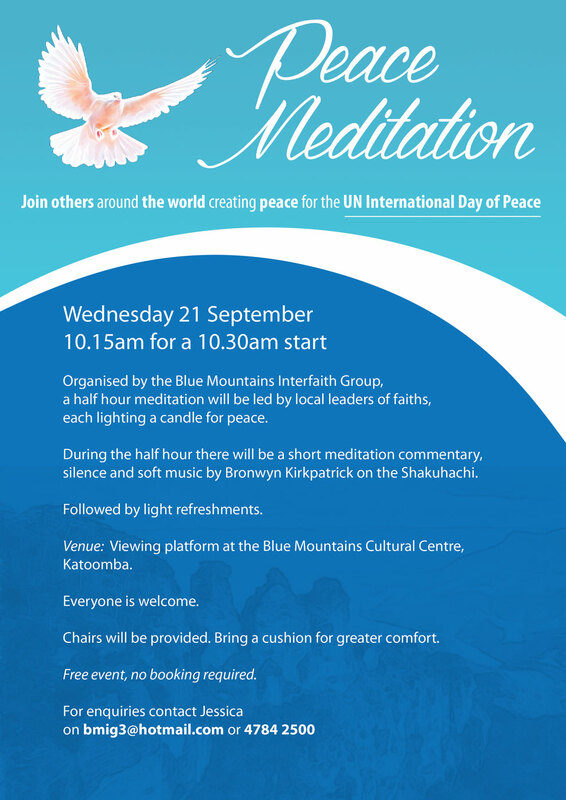 I’m playing shakuhachi at a Peace Meditation for the UN International Day of Peace tomorrow at 10.15am! This entry was posted in Uncategorized on September 20, 2016 by bronwyn.kirkpatrick.